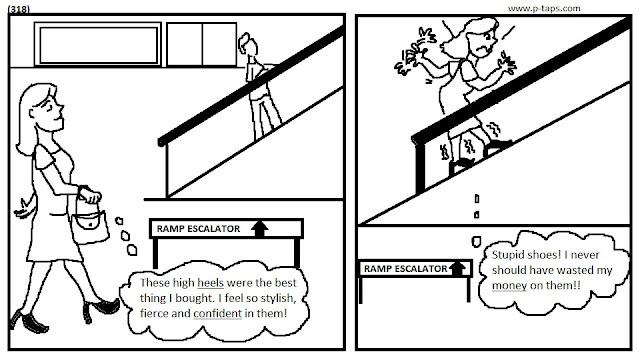 LADY THINKING - These high heels were the best thing I bought. I feel so stylish, fierce and confident in them! Stupid shoes! I never should have wasted my money on them!! Haha that's so funny.I am feeling my self on the same boat.Whenever I buy heels I do act like the same as her.